It seems to me that holiday shopping occurs earlier and earlier every year. It's only mid-November, but some shops where I live are already covered in Christmas decorations and play Christmas music. With buyers already thinking about what sort of things they'll buy as gifts to give during holiday time in December, it's appropriate to refresh our quarterly tablet guide to reflect on the state of the tablet market, as well as to add some recommendations from the less-expensive media-focused devices of the tablet market. Even if you use Android on your smartphone, it's always worth giving the iPad some consideration when looking for a tablet. It's can definitely be difficult to have to manage two different ecosystems with their own apps, but the iPad has a substantial platform advantage over Android tablets on both the software and hardware fronts, and to improve multitasking and productivity further you really need to move to a full blown Windows tablet. At the small end of the iPad line there's the iPad Mini 2 and iPad Mini 4. The iPad Mini 2 is the cheapest entry into the iPad line at $269. However, the hardware platform is really showing its age by this point. You still get a 7.9" 2048x1536 display, but it's a narrow-gamut panel which really stands out in a market where even $100 smartphones cover the sRGB gamut. It also has only 1GB of RAM paired with Apple's A7 SoC, which limits its current multitasking abilities, and will send it to end of life status in the near future. However, it does represent a relatively inexpensive way to get an iPad, and with Apple's recent move to double storage on almost every iOS device you now get a 32GB iPad Mini 2 for $269 where previously you'd be stuck with 16GB. For me, the iPad Mini 2 is like the content-consumption device in the iPad line, being usable for media, reading, and general app usage, with the RAM being the limitation that prevents multitasking and causes apps to be killed rather quickly. As for the iPad Mini 4, it's the higher end iPad Mini. At $399 it's quite expensive though, but the price is a bit easier to swallow with the storage recently being bumped to 32GB. Compared to the iPad Mini 2 you get Apple's A8 SoC paired with 2GB of RAM, which enables support for iOS's split screen multitasking feature. However, its size means that you'll often only use the iPad Mini with a single app at a time, so the additional RAM is mostly useful for keeping additional Safari tabs and apps in memory. Split-screen can come in handy when pinning a chat app on the right side though, even with the smaller overall display area than other iPads. You also get full sRGB coverage on the display, along with laminated cover glass and Apple's AR coating which reduces reflections and increases effective contrast. Sales of the iPad Mini have definitely been cannibalized by the 5.5" iPhone models, especially since they also use a regular horizontal size class which allows for the same split layouts that iPad apps have in landscape. It doesn't get updated as frequently as the 9.7" iPad even though the price remains constant, which means that the value for your money drops as the hardware ages over time. For that reason I wouldn't consider the iPad Mini 4 to be worth buying, but if you need a tablet of this size it's probably the best option you'll find due to iOS's tablet app ecosystem. At the very least, the recent storage increase means you get more for your money now than in the past, and an additional $100 bumps the storage up to 128GB. Click here to read our reviews of the iPad Mini 2 and the iPad Mini 4. 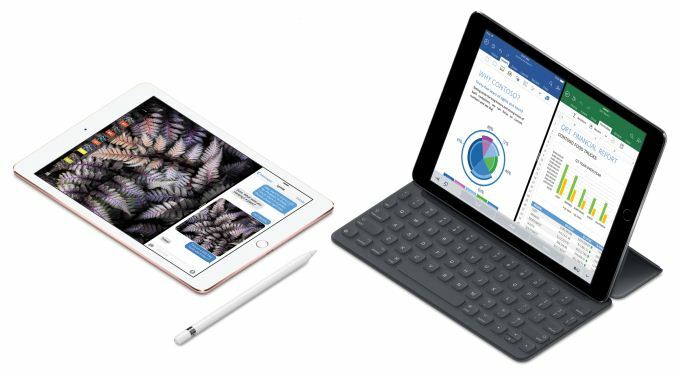 For buyers who want a high-performance full-size tablet without approaching prices of $600 or $700, I think the iPad Air 2 is the best option overall. 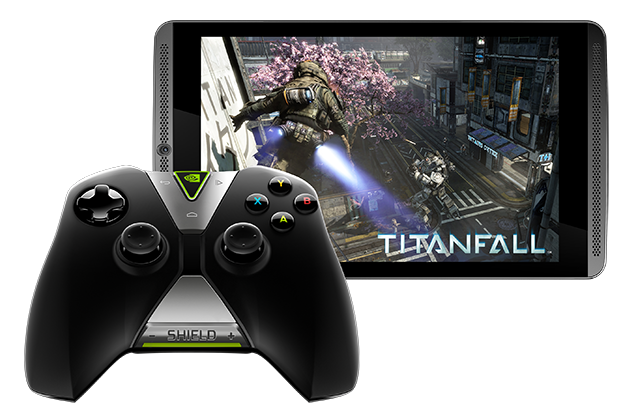 It now sits at $399 for 32GB, and it has the same hardware platform as when it launched. Normally one would think that to be a bad thing given that it launched in October of 2014, but lacking efforts from Android OEMs during the past two years have left the iPad Air 2 second only to the Pixel C as far as performance goes when comparing to Android devices, so it's really only "slow" relative to Apple's newer iPads. The iPad Air 2 is like a larger and more powerful version of the iPad Mini 4. It has a 9.7" 2048x1536 display with the same AR coating, lamination, and color gamut. Something it has that the iPad Mini 4 lacks is Apple's 120Hz digitizer which scans for input at two times the rate of most other mobile devices, leading to lower input lag. Inside it has 2GB of LPDDR3 memory, and it uses Apple's A8X SoC which is slightly faster than A8 for general CPU tasks and significantly faster for GPU-accelerated workloads. It's no longer Apple's best SoC, but as I said before, Apple has almost no competition in this space anyway as far as performance goes. Like the iPad Mini 4, the iPad Air 2 sells for $399 for 32GB, and $499 for 128GB. If you keep local media the $499 model is definitely worth it, but I think the average user will be okay with the 32GB model. The improvements that the iPad Air 2 provides over the iPad Mini 4 are definitely worth the price, and unless you need the smaller size of the iPad Mini 4 I think going with the iPad Air 2 is a no-brainer. At the very top of the iPad line sits the two models of the iPad Pro. The 9.7" and 12.9" iPad Pro tablets represent the flagship iPads available at each size. As someone who has actually adopted the iPad Pro for many tasks, I think the applications of it are fairly clear, along with the target market. Students are definitely a big group within it, as the combination of the iPad Pro and Apple Pencil is more than capable of replacing notes written on paper. Creative professionals will find enjoyment from the combination of the two as well. If you decide that the iPad Pro is the device for you, there are some considerations to make regarding accessories. I think the Apple Pencil is a must-have for many of the iPad Pro's intended users, although not all. The $99 price tag does add a significant amount on top of the price of an already expensive tablet, and so it's something to consider when comparing to other devices. As for the Smart Keyboard, it's definitely useful in some circumstances, but definitely not as necessary as the Apple Pencil. I think the poor lap usability is a big drawback, and I've rarely ever used it apart from a few circumstances where I had to use SSH without a laptop around. Unless you really want the keyboard for typing up documents, I would probably pass on it, as at $149 for the smaller one or $169 for the larger one it's quite expensive. In the last tablet buying guide I spent a bit of time explaining the issues that are prevalent in the Android tablet market. To be frank, the market is a failure when using the definition of a tablet that defines a device like the iPad. I'm not going to continually re-publish such remarks, but I think the fact that there were no notable Android tablets launched this year speaks for itself. With that in mind, I would say the most reasonable recommendation regarding high end Android tablets is that you can't buy what doesn't exist. While that is an unfortunate situation, there's still a healthy segment of Android "tablets" that focus much more on media-consumption and sell for lower prices than iPads or Windows tablets. I often joking refer to such devices as portable televisions due to how they get used, and many of them don't actually run Android in the traditional sense of the word, instead using heavily modified versions that often omit Google's services. This guide includes recommendations from that segment of the market, as they'll make up a large number of the tablets sold this holiday season. 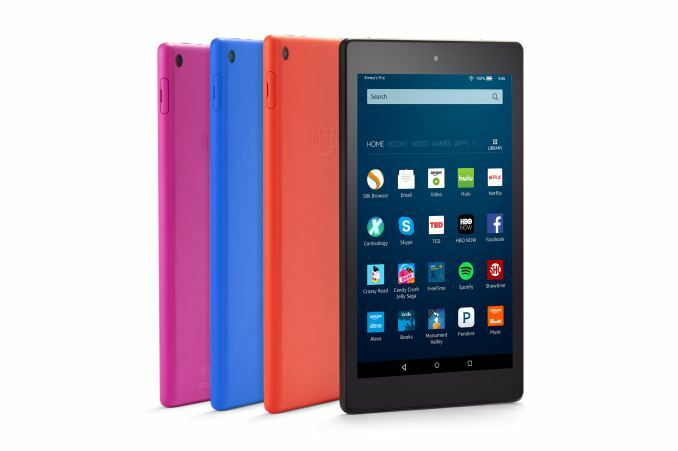 The Amazon Fire HD 8, or more specifically, the All-New Fire HD 8, is my pick for an inexpensive media-consumption Android tablet. It has an 8" 1280x800 IPS display, which makes for a pixel density of 189 ppi. It's powered by MediaTek's MT8163 SoC, which is a 1.3GHz quad core Cortex A53 part paired with 1.5GB of RAM. Nothing here is mind-blowing, but the point of the Fire HD 8 is that it starts at only $89. There is a caveat with that price. You can get the Fire HD 8 in a 16GB model for $89, but that requires seeing ads on your lock screen and parts of the launcher. You can do away with the ads for $15. Given that the ads aren't really intrusive, I would imagine that the most price-conscious customers would opt to just keep them. Moving to 32GB adds on an additional $30. The most important thing to make note of is that the Fire HD 8 doesn't have access to Google services. This means no Gmail app, no Chrome, no Youtube, and no Google Play. Amazon's own app store has most of the big names in the mobile app space, and the intended target market for these devices aren't users who really make heavy use of apps anyway. Despite that, Youtube is definitely the one case where I can imagine there will be frustration given that the tablet skews toward media-consumption. Amazon Prime users have a lot to like about it though, especially those in markets where Amazon's media services like Prime Video and Prime Music are available. Heavy readers will also have easy access to Amazon's library of eBooks. As with the past iterations of this guide, the SHIELD Tablet K1 is my pick for a mid-range Android tablet. This tablet has been around for a long time, and it does get close to the territory of Android tablets that are just used as small portable televisions, but the hardware is more substantial than what's found found in the most inexpensive Android tablets. Like the name suggests, it's powered by NVIDIA's Tegra K1 SoC, with four 2,2GHz Cortex-A15 cores and NVIDIA's single SMX Kepler GPU. The display is a 1920x1200 IPS panel, which is sufficiently high resolution but much like the iPad Mini 2 it has a narrow color gamut and lacking accuracy. While the SHIELD Tablet K1 isn't as good as I'd like it to be, at $199 it's going to be the best Android tablet at this price unless Google decides to resurrect the Nexus 7 for a 2017 edition. 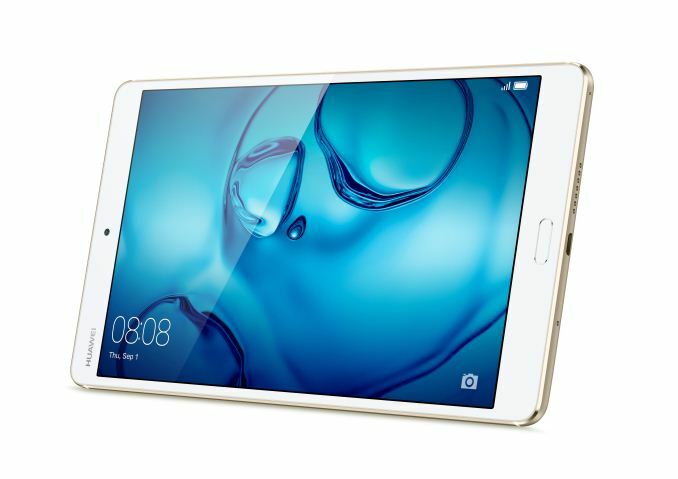 While this year hasn't been great for Android tablet launches, Huawei's MediaPad M3 is one exception to the trend. Announced earlier this year at IFA, it has been available in Europe in several storage and cellular configurations. It has also just been made available in the US via Amazon and other retailers in time for the holiday season. At $299, it sits in the mid-range part of the Android tablet market, and as its name suggests it focuses on media-consumption. However, selling for this price allows Huawei to include much better hardware than your typical Android media tablet. Starting with its display, the MediaPad M3 uses an 8.4" IPS display with a resolution of 2560x1600. This is one of the sharpest displays you'll see on a tablet, with most other Android tablets of this size and resolution using PenTile AMOLED panels that have reduced red and blue resolution and subsequent issues with text rendition. Internally you get 32GB NAND plus MicroSD expansion, 4GB of LPDDR4 memory, and HiSilicon's Kirin 950 SoC, which has been used previously in the Huawei Mate 8. There are also 8MP cameras on both the front and the back, and stereo speakers built into the left and right sides of the chassis. We haven't yet done a review of the MediaPad M3, so this is just a recommendation that buyers take a look at it if they're trying to find an Android tablet at this price point. The specs don't look like they'll disappoint, and the aluminum unibody is a nice step up from the plastic tablets you'll find at lower price points. Buyers in the US don't have access to the same variety of SKUs that have been seen elsewhere, and currently the only model available to order is the 32GB WiFi version for $299. 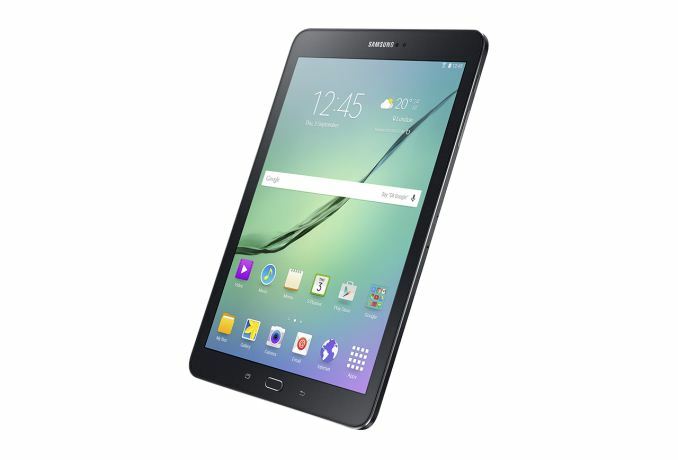 The Galaxy Tab S2 is a device I reviewed last year. Samsung has actually updated it since then with a model that uses a different SoC. It originally used Samsung's Exynos 5433 SoC with four Cortex-A57 cores, but now uses Snapdragon 652 which has four Cortex A72 cores and four Cortex A53 cores. I can't really speak to the performance of the newer model, but I would imagine that performance must be better than what I experienced on the Exynos model. You can find both floating around in the market, so be sure of which one you're buying before you do so. As I mentioned earlier, I encountered performance and battery life issues with the Tab S2, and while the chassis being thin and light is great for portability, it does not feel like a device worth $500. Samsung also didn't see fit to do a proper follow-up to it this year, which is yet another example of how the high-end Android tablet market is pretty much gone. It's recommended here only because there are basically no other options to recommend, and unless you are absolutely certain that an iPad or Windows tablet can't work for you I would look elsewhere. Some users may argue in favor of the Pixel C as an alternative here, but the broken WiFi is enough to prevent me from recommending it at this point. Google doesn't even list the Pixel C once on their own Pixel device site, so it doesn't seem like they want it recommended either. My only Windows tablet recommendation is the Surface Pro 4, and I really think it's more of a laptop recommendation when you get down to it. This part of the guide used to list the Surface 3, but the Surface 3 has essentially been discontinued, and cannot be purchased from Microsoft anymore. I think that it's a shame, as an update to it with a higher resolution display and perhaps some tweaks to storage and NAND would have provided a great Windows alternative to the 9.7" iPad Pro. The Surface Pro 4 comes in more configurations than I could ever list here. The pricing ranges from $899 for the fanless model with an Intel Core m3-6Y30 CPU, a 128GB PCIe SSD, and 4GB of RAM, all the way to $2699 for a dual core Intel Core i7-6650U, 16GB of RAM, and a 1TB PCIe SSD. The average price for the Surface Pro 4 should make it pretty clear why I think it ends up competing more with high end laptops than iPads or Android tablets, but it is technically a tablet. From another point of view, the base model isn't really any more expensive than the iPad Pro once you factor in what Apple charges for accessories, and getting the full Windows experience will appeal to many people. 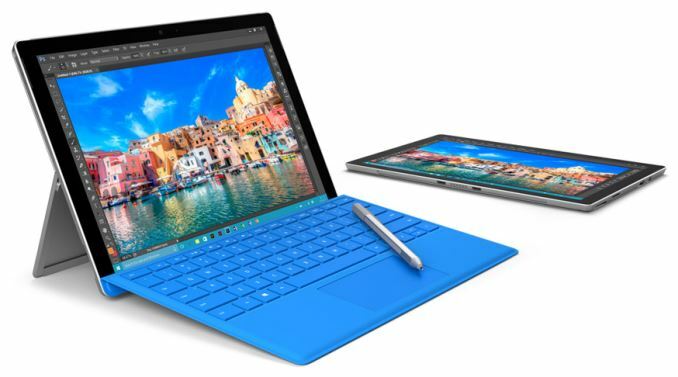 Specs that are common to all models of the Surface Pro 4 are a 12.3" 2736x1824 display, 802.11ac WiFi, and an included Surface Pen. The battery capacities do vary based on the CPU you get, and the Core i5 and Core i7 models aren't able to be passively cooled like the Core m3 model is so they do use a fan for cooling. Microsoft's Surface Type Cover will still run you $129 on top of the price of the tablet, or $159 if you opt for the version that has a fingerprint scanner for authentication. I think of the Surface Pro 4 less like a tablet and more like a full-fledged Windows laptop which can be used sort of like a tablet to watch videos in bed, but that again gets back to how some users just use their tablet like a portable television. The limited Modern UI app selection does put it in a different category than the iPad Pro, but buyers interested the Surface Pro 4 want one specifically because it can run all of their existing Windows software. If you fall into that category, the Surface Pro 4 is definitely worth checking out.